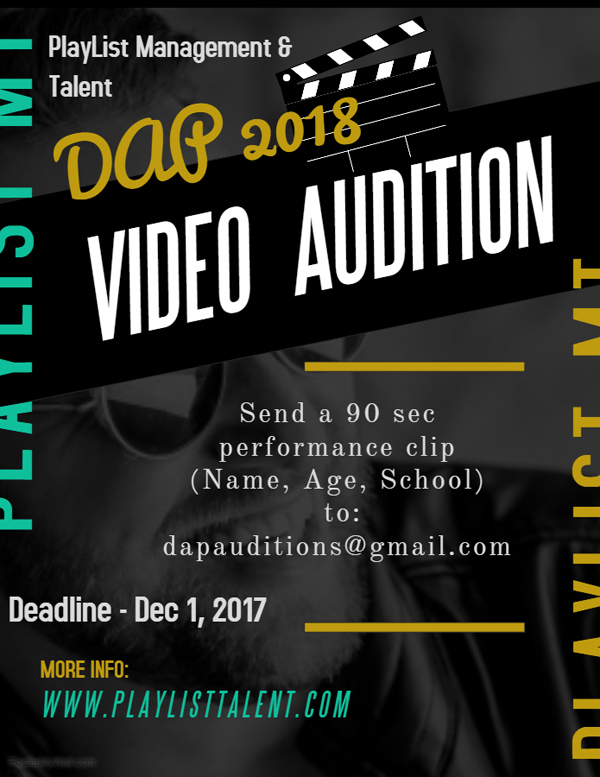 PlayList is kicking off their Developing Artists Program [DAP] 2018 with an online video submission audition call, with a submission deadline of Friday, December 1. A spokesperson said, “PlayList Management & Talent is looking for young, talented artists to participate in the program, which is designed to cultivate talent, provide growth opportunities, and a glimpse into the life of an artist. “The audition is open to young people aged 10 to 18, under categories including singing, song writing, production [music], instrumental music, acting, and modeling. Encouraging that this company is developing young people – well done!